Serving up the Harvest by Andrea Chesman is one of my favorite cookbooks. 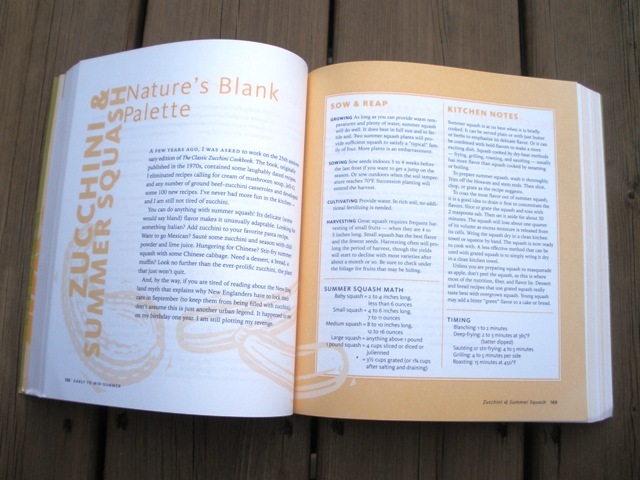 It's a hefty little thing clocking in at nearly 500 pages and it features tons of recipes for using fresh produce. Cooking seasonal is smart for several reasons. If you grow your own produce or buy local, you know that you can't grow everything all year round, but if you eat what's in season it's going to taste better than something shipped in from halfway around the world. It's also better environmentally and economically because produce from halfway around the world (or even from a place in the US that doesn't get snow) costs more to get to you than something grown locally. If you buy locally, it's often cheaper than buying imports at the grocery store and it's going to be fresher and probably covered with a whole lot less pesticides. I really like this cookbook, because it calls for simple ingredients to make fresh and tasty food. There's very little processed foods used and almost all of the ingredients (including the veggies- if you dont' grow your own or don't have a local farmer's market) can be found at a regular grocery store. Something that I appreciate. 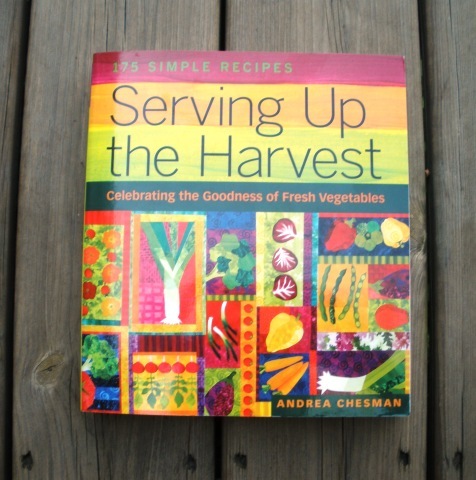 You can find Serving Up the Harvest on Amazon, or at many independent book stores.